This is possibly one of the saddest things I have ever written on. 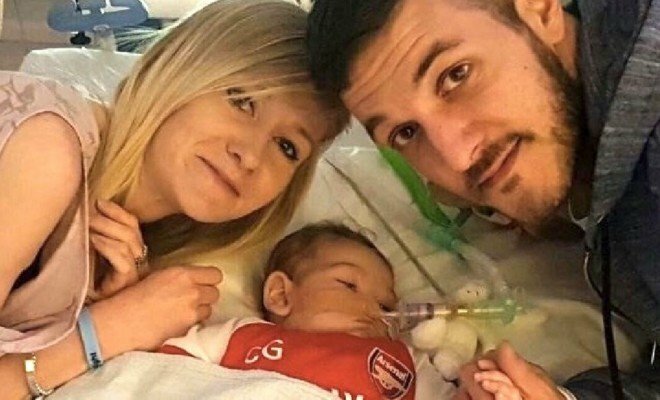 Little Charlie Gard is the tiniest victim of socialized healthcare in Britain. A death panel has sentenced him to death… in fact, it was supposed to happen yesterday, but out of so-called compassion, the hospital extended Charlie’s life for a day or two. He is 10 months-old and he has a rare genetic condition that has caused brain damage. They claim he is in a vegetative state. His parents have been valiantly fighting their way through the European court system and they just lost their final appeal to save their son in the European Court of Human Rights. What a joke that name is. This couple raised $1.8 million dollars to take their baby to the US for an experimental treatment as a last ditch effort to save their son. The British doctors said no and claim they want the child to die with dignity. But by any other name, this is euthanasia plain and simple. Charlie’s parents are just devastated. The government is forcing them to say goodbye to Charlie and just let him die. This is the true, evil face of bioethics and socialized medicine. In the end, this isn’t about money or about this little baby… it’s about the steel grip of power by the government over healthcare and citizens. Take a good, long look because what you see happening in Britain is on the menu for our healthcare system… all because neither side of the political aisle will do a full repeal and let the free market take over. In the absence of that, this is how it will turn out. 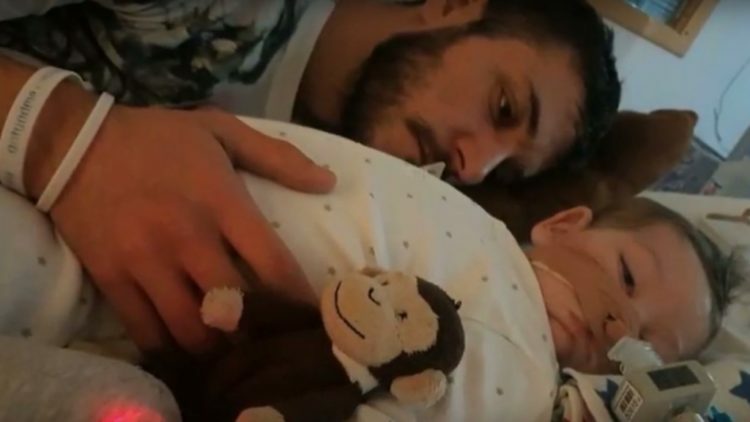 The parents of terminally-ill baby Charlie Gard are ‘utterly distraught’ and facing fresh heartbreak after losing their final appeal in the European Court of Human Rights. Chris Gard, 32, and Connie Yates, 31, wanted to take their 10-month-old son – who suffers from a rare genetic condition and has brain damage – to the US to undergo a therapy trial. Doctors at Great Ormond Street Hospital for Children in London, where Charlie is being cared for, said they wanted him to be able to ‘die with dignity’. 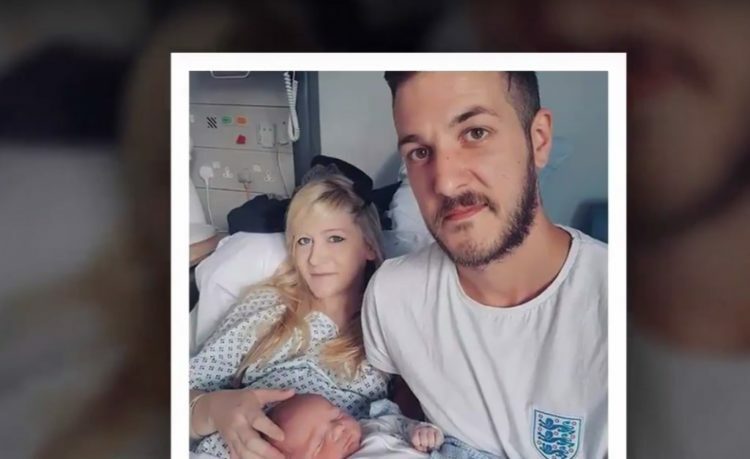 But the couple, from Bedfont, west London, raised almost £1.4 million so they could take their son to America but a series of courts ruled in favour of the British doctors. 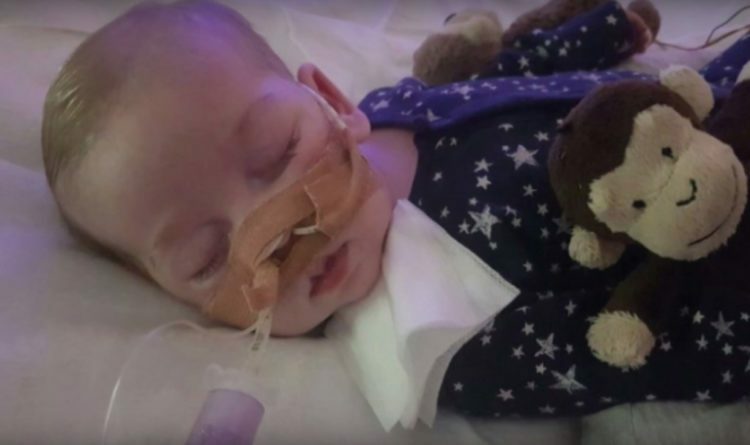 When Charlie Gard was only eight weeks-old, they discovered he suffered from a rare disorder called mitochondrial depletion condition. It weakened his little body and left him unable to breathe without a ventilator. That was when the doctors broke the news to Connie Yates and Chris Gard that there was nothing that could be done for Charlie. He had irreversible brain damage they said. The parents don’t agree… they’ve seen their son get better and he has opened his eyes. He knew they were there with him. After they refused to let the parents take Charlie to the US for treatment, the parents begged the hospital to let them take their son home. They would pay for the portable life support. They wanted to give him a warm bath and let him sleep on his little cot, so he could gently pass away with those who love him surrounding him after they turn the machine off. But the bastards said no again. I can’t write how angry this makes me. Charlie’s weeping distraught mother said that if there were no other options “we promised our little boy every single day that we would take him home. That is a promise we thought we could keep.” The “fourth of August 2016 was the best day of our life, the day that Charlie was born,” she also said. “The 30th of the sixth 2017 is going to be the worst day of our lives.” That has been delayed just slightly. Shame on all of them for this cruel, heartless deed. Charlie’s respirator was scheduled to be turned off yesterday, but there was massive outrage over it and Pope Francis intervened. The parents were granted a few more days to say goodbye to their son, but it still has to be in the hospital. The Pope’s statement said that it is “never” right to deliberately end a human life and added, “Dear Charlie … We are praying for you.” Friday, members of “Charlie’s Army” — volunteers who raised the money for the healthcare denied to him — showed their support for the family outside the Great Ormond Street Hospital. At St. Peter’s Square in Rome, a rosary was prayed for Charlie and his family. But the Vatican and the Pope could have stopped this and they didn’t. Charlie Gard will be murdered by this state-sanctioned hospital soon and there is nothing any of us can do about it. May the little one rest in peace… he will be in God’s arms. As far as I’m concerned every doctor and judge involved should rot in hell. Please don’t let this happen here in America. This is the face of Obamacare.